The Dodgers outfield is overcrowded. Although there are no known plans to deal Carl Crawford, Andre Ethier, Matt Kemp, or Yasiel Puig, Steve Dilbeck of the Los Angeles Times ponders what it might take for Los Angeles to reconsider. Dave Cameron of Fangraphs goes on MLB Network’s Clubhouse Confidential to explain why signing free agent Robinson Cano to a lucrative, long-term deal is a risk worth taking. Hardball Talk’s Craig Calcaterra remains stridently opposed to Jack Morris’s being voted into Cooperstown, but he no longer wants to shout his views from the pulpit. But there isn’t a small market team that thinks the new draft system works to their advantage. A team like the Rays, Pirates and A’s seldom can jump into the free agent market, seldom can they [compete] to hold their best players, hence the James Shields trade and now the possibility that David Price could be moved. Now limitations have been placed on their ability to sign foreign players to inject into their farm systems, and the draft itself has virtually eliminated the opportunity for the Pirates to do what they did in their rebuilding process, namely go above “slot” for lower round picks. Now the draft rewards poor performance, not poor markets. At High Heat Stats, John Autin examines whether young-pitcher dominance constitutes a trend, aberration, or something in between. Rick Renteria is the new skipper on the North Side of Chicago. Bleed Cubbie Blue’s Al Yellon likes most of what he heard from Renteria’s recent conference call with reporters. The Cardinals locked up Matt Holliday to a seven-year, $120 million contract following the 2009 season. Beyond the Boxscore’s Ben Horrow determines that over the past four seasons the left fielder has more than earned his keep. 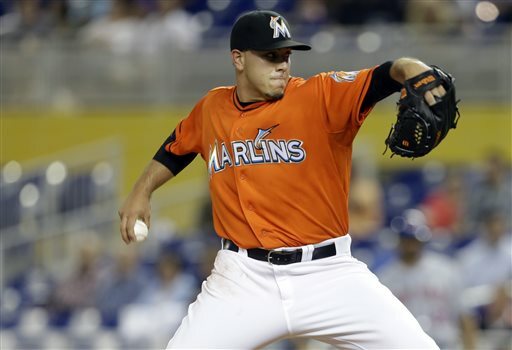 Jose Fernandez beat out Puig to capture National League Rookie of the Year honors. Wil Myers took home the American League’s award.